How to make my model's top section rotate without rotating the entire model? 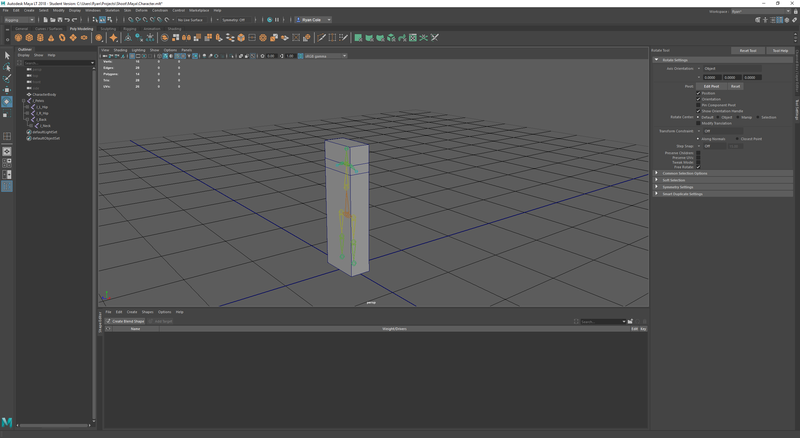 I'm trying to learn a bit of Maya modeling so that I can be self sufficient when it comes to creating super basic assets for my game development. I'm trying to understand skeletal rigging and how it modifies the model geometry itself. I've got the most basic model - a cube with proportions that make it into a 3D rectangle. I've rigged it with a very simplistic skeleton. 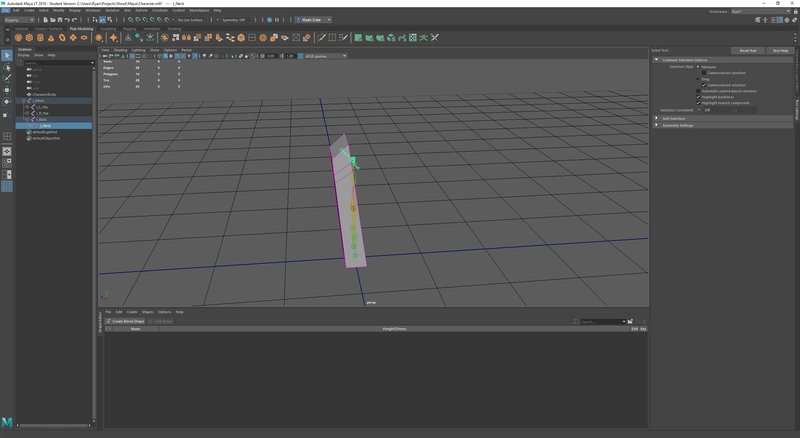 My goal is to learn how all of this works, and create a character that has motion similar to maybe the magic carpet from Aladdin - it's a rectangle but the edges somewhat move like it has arms and legs. 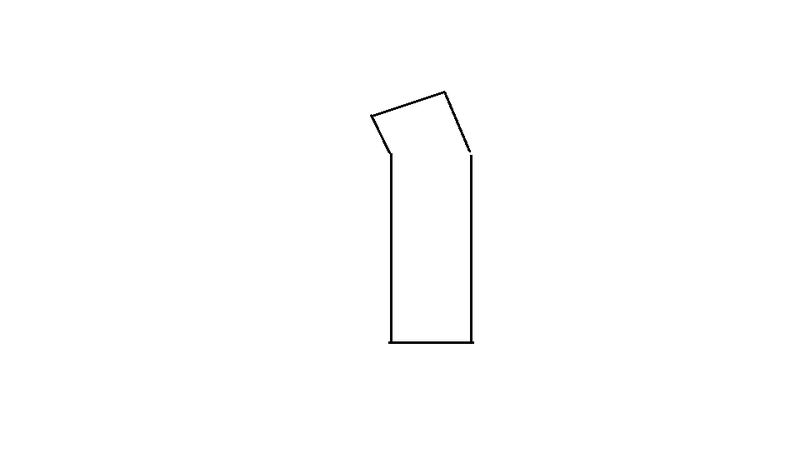 When I rotate some joints, it distorts the entire model. I added a bit more geometry thinking that it'd allow the top section of my model to rotate a bit more without having to deform the entire model, but it still just seems to do the same thing. How can I make the top section of my model be capable of moving forward and backward in such a way that it does not cause the entire model to move forward? Remove the weights from "J_Neck" from all components but the ones you want effected by it. You can either open the "Windows > General Editors > Component Editor" and remove unwanted weights or use the "Skin > Paint Skin Weights" to paint the desired weights. Your very simple model might however be too simple. For deformation you really need geometry to support it. Not the answer you're looking for? Browse other questions tagged animation 3d-meshes maya or ask your own question. How do I make a jumping dolphin rotate realistically? How do I make an arrow line up with a bow when rotating them? Too much animation work for 2d characters. Creating 2d character animations by prerendering an animated 3d model? how can i make my game more intuitive without a tutorial?